Patch 2.4.1 has gone live for Diablo 3 on the PC, PlayStation 4, and Xbox One, and Season 6 has kicked off for the PC version. The patch brings a lot of tweaks and changes to various legendary items and character abilities, but it also brings in some new ways to kit out your hero. A few new Transmogrification recipes have been added to the world of Sanctuary. These are all common-quality items that have been added to the loot drop table for certain enemies, rare chests, Rift guardians, and/or Adventure Mode bounties. Along with the new recipes comes a new treasure goblin, the Menagerist Goblin, that can be found out in the wilds. Kill him in time and he'll drop one of the non-combat pets that have been available at various times during the game. 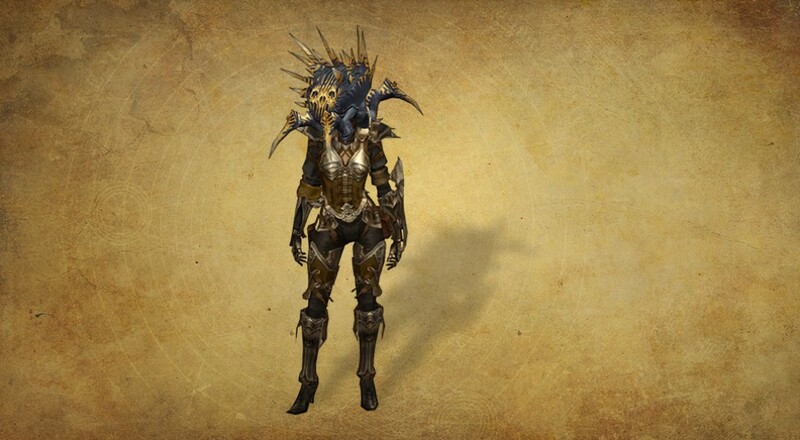 The full details of all the changes that were implemented can be found over on the Diablo 3 Battle.net site. As for Season 6, that kicked off a few days ago on the PC. Like the previous season, this one features Set Item rewards for the particular class you select provided you complete certain goals/challenges along the way. If you finish out the full season, you'll also nab some new transmogrification recipes, a new banner, and a new portrait frame. Season 6 will run until around the end of July, so you've got time to hop in and play through for all those rewards. Diablo 3 Beta Video Leaks Out, Public Beta "Almost Ready"
Page created in 0.5470 seconds.